12.5" RCOS @ ~f/9 (2880 mm fl) 0.64 arcsec / pixel. The Zoomify image scale is 0.64 to 2.30 arcsec / pixel. eXcalibrator for (b-v), (v-r) color calibration, using 14 stars from the NOMAD1 database. PhotoShop for non-linear stretching, LLRGB combine and adding Ha data to the final red channel. 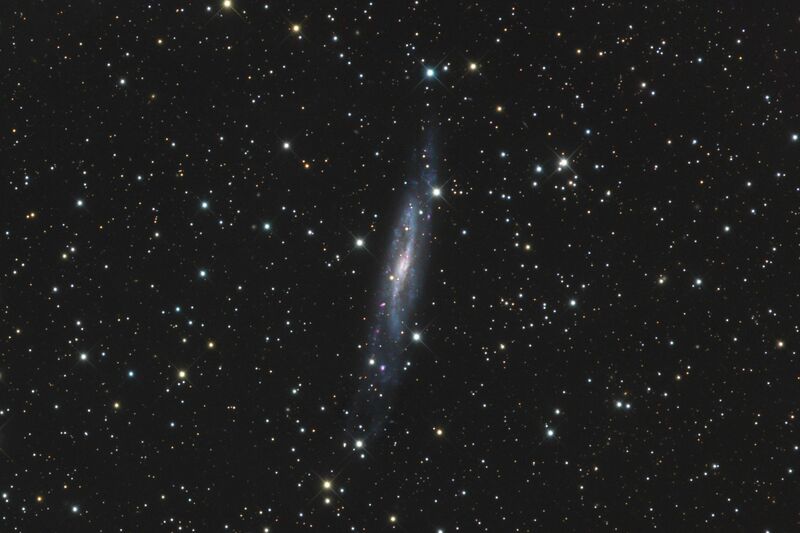 NGC 7640 is located about 29 million light-years away, behind a faint veil of nebulous clouds, in the constellation of Andromeda. The barred spiral galaxy is about 59,000 light-years in diameter. 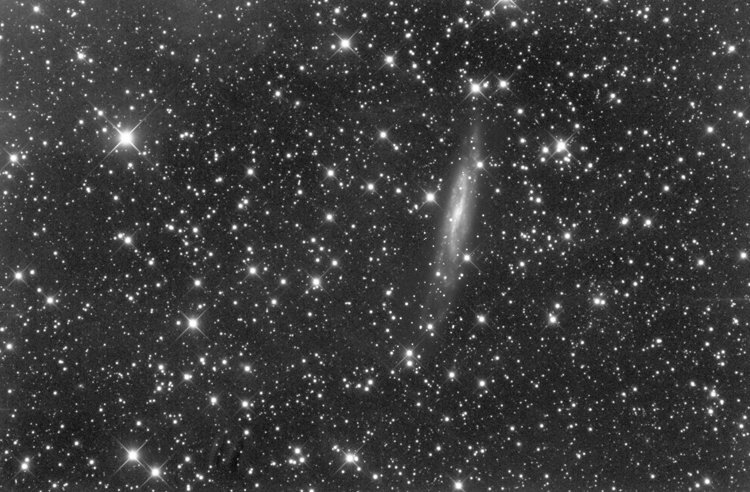 The second image shows the foreground nebula. This is probably similar to the Integrated Flux Nebula, which is found at higher galactic latitudes.